Historical reenactment societies provide an incredible window into how men and women lived in historical times. These societies often focus on war reenactment, providing members (and sometimes the public) a glimpse into what life was like during the conflicts that shaped history. 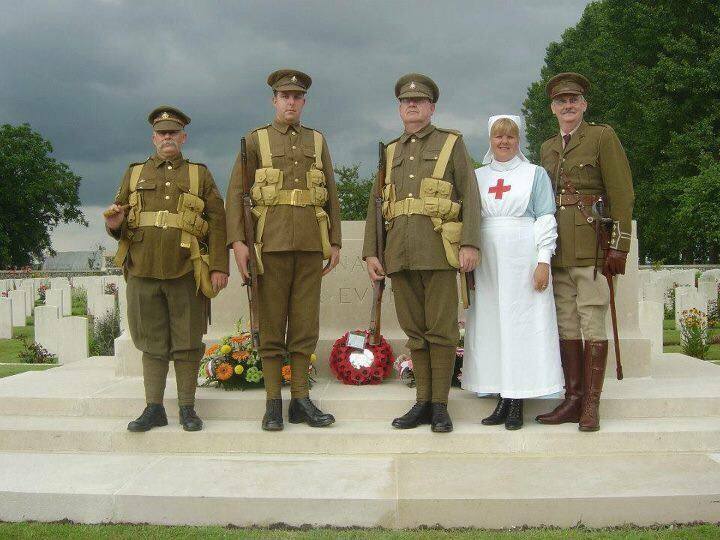 Without historical reenactment societies, we wouldn’t get a visceral sense of the scope of war. At Recollections, we’re passionate about historical reenactment and historical accuracy. We love historical clothing of all eras–but as you know, we’re particularly fond of Victorian clothing and styles from the American Civil War era. We wanted to honor some of the most outstanding historical reenactment societies which we know of. This list is by no means exhaustive—all reenactment societies are performing a great service. We’ve broken this list down by historical period, and we’ve numbered the societies to make this easy to read. Here are our favorite historical reenactment societies. NOTE: they’re not listed in a particular order. They’re all doing great work in educating their members and the public on life in times past. 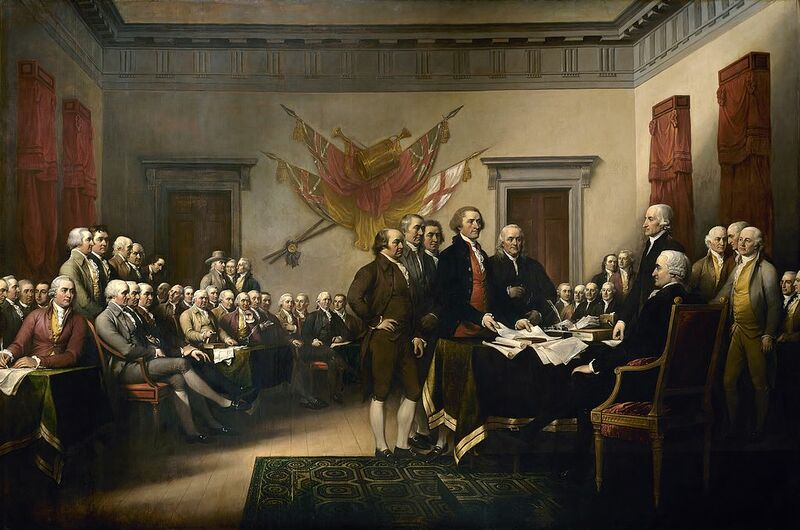 Declaration of Independence by John Trumbull. The North West Territory Alliance is an American Revolution reenactment group that works primarily out of Illinois, though their events can be found all over the Midwest. None of the members are professional actors; they all just have a passion for history, which is why their events are so compelling. 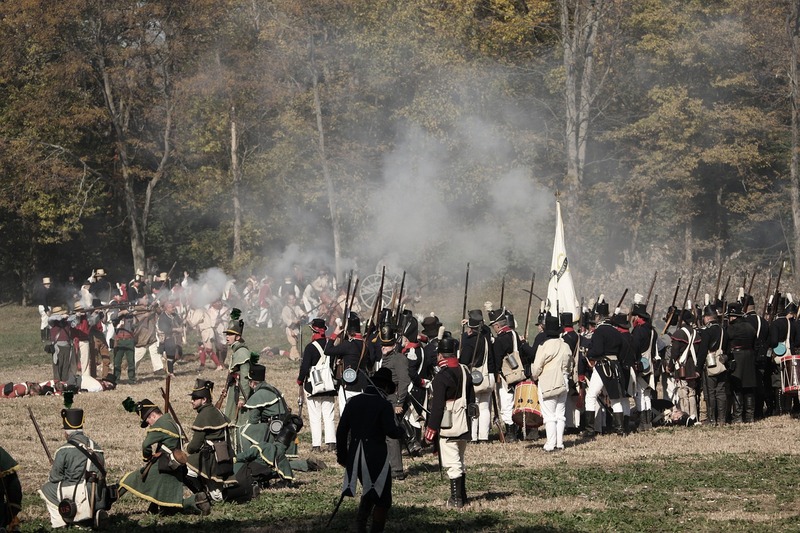 The high-quality battle reenactments put on by this historical reenactment group are open to the public, and are on fields in parks, history centers, and everywhere in between. Even if you’ve never acted in a reenactment before, you can join the North West Territory Alliance on their next adventure as a guest. Then, you can decide if you would like to join as a full time member or not. The only prerequisite is that you must have a passion for history to come aboard! The Burning of the Valleys Military Association is a historical reenactment group that began in 1989. The group originally put on a reenactment of the “The Johnson – Brant Raid of October 17th-19th, 1780? in 1990, but since then it has expanded and formed relationships with other regiments to create a truly memorable and accurate event. They reenact this battle annually now, and the program has expanded enough to offer awards to different members of the group. These awards are recognitions given to individual members of the association, and the group can even provide scholarships. The Brigade of the American Revolution represents all the different groups of soldiers that fought in the American Revolution. So, US Continentals and Militia, British, Loyalist (Tory), German, French, Spanish, and Native American forces are represented by their regiment. 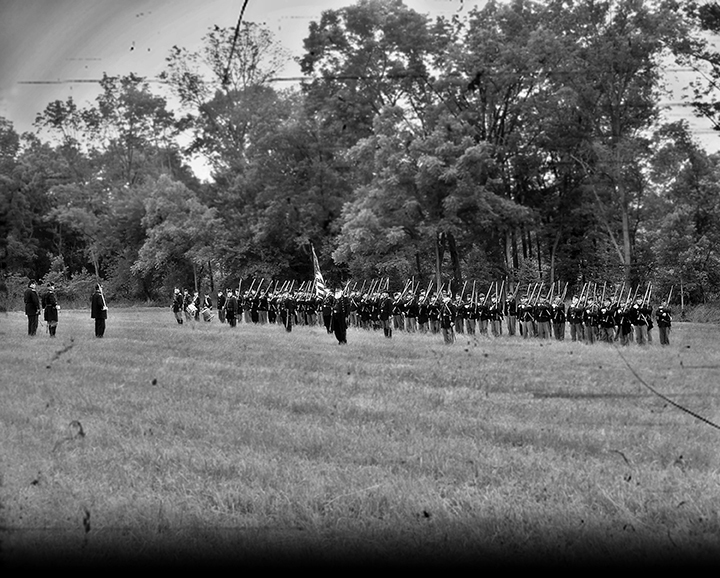 Over a single weekend, the Brigade will work to create historically accurate camps. Then drilled maneuvers and tactical demonstrations are put on so that those who attend the event can get a good sense of what military life during the 18th century was like. The British Brigade portrays the Loyalist and British companies in the Revolution. While Americans might typically learn about the American militia and regiments in school, the British soldiers also had a rich history while they fought on American soil. 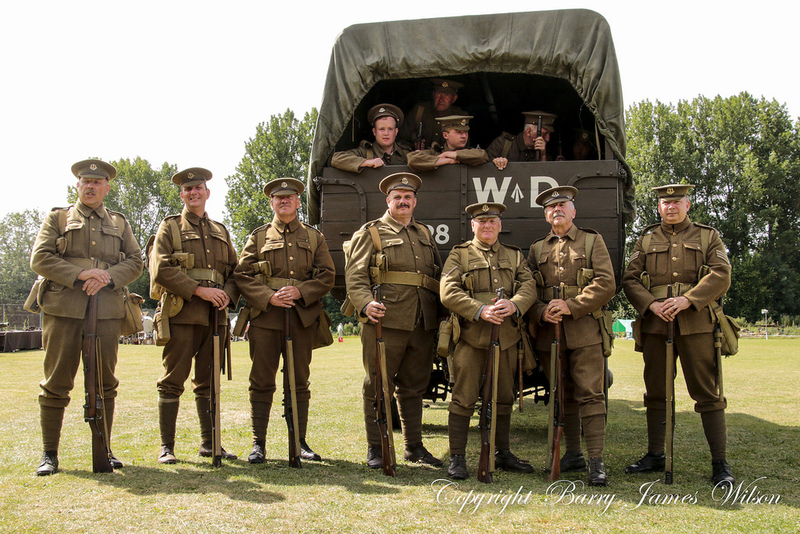 Through this historical reenactment group, you will be able to experience the truth about the British army, and not get all of your information about the British from a Mel Gibson movie. 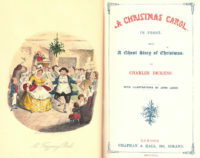 Photo courtesy of Special Collections Toronto Public Library. Licensed under Creative Commons 2.0. The Fort McHenry Guard is nationally significant. They reenact the Battle of Baltimore that occurred in the summer of 1816, which inspired the Star Spangled Banner. Visitors can come and see the everyday activities of 19th century citizens in the fort, watch the battle reenactment, learn historical interpretations of the events, and watch demonstrations. Sponsored by the National Parks Service, the reenactors are carefully selected to provide a window into our nation’s past. 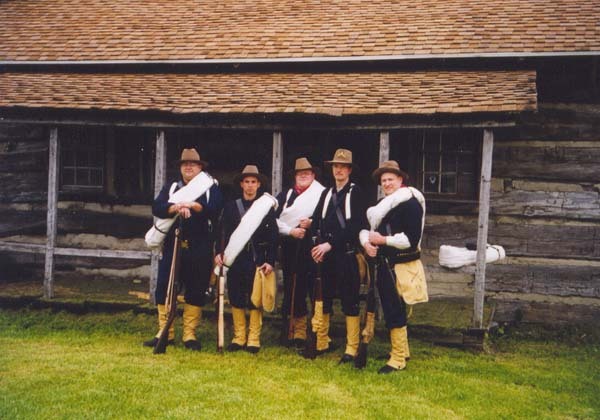 The Glengary Light Infantry Fencibles work throughout Ontario and New York to reenact the lives of the soldiers in this infantry. This infantry served in many forts like Fort York, Fort George, and Fort Erie, and participated in many battles and skirmishes. Because of their valiant soldiers, the regiment received honors from different battles. Now, the reenactors of the Glengary Light Infantry Fencibles teach visitors and spectators about the difficult life of a soldier in Canada. This chapter of North American history is sometimes overlooked in history books. The Fort Norfolk Garrison works to educate the public about the war of 1812. Consisting primarily of two family-friendly units, this unit is set on authenticity. Depending on the level of membership a certain reenactor has, he must be willing to abide by authenticity standards to ensure that reenactments done by the unit are as authentic and realistic as possible. We had to include them on our list because of their dedication to authenticity and providing the public with an accurate depiction of the War of 1812. Captain Nipper engages the Seminoles. Photo by Amiee Marshall. The Florida Frontier Guards are an unincorporated association of reenactment enthusiasts. 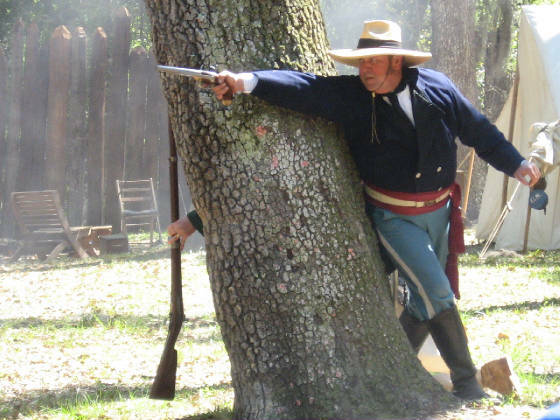 Members are passionate about reenacting the “Florida War” of 1835-1842, which is now known as the 2nd Seminole War. The group specializes in reenactment and living history. Their tactics are especially well-researched and historically accurate. The Sykes’ Regulars group emphasizes excellence in drill, discipline, and authenticity. Their high level of discipline has earned them the respect and recognition of numerous reenactment societies, and they place a high value on continuing research and documentation. They are a not-for-profit organization focused on education and honoring the heritage of those who fought in the Civil War. The Civil War Reenactors have been around since 1996. They even have their own magazine, the Camp Chase Gazette, which covers many fascinating details of the Civil War, including uniform lineage, reenactment on a budget, and more. The Civil War Reenactors are passionate about preserving history and demonstrating what life was like for soldiers in this bloody conflict. The 22nd Mass/ USSC Boston Branch is a reenactment group dedicated to portraying the 22nd Massachusetts, Company D, a real union company that fought in the Civil War. 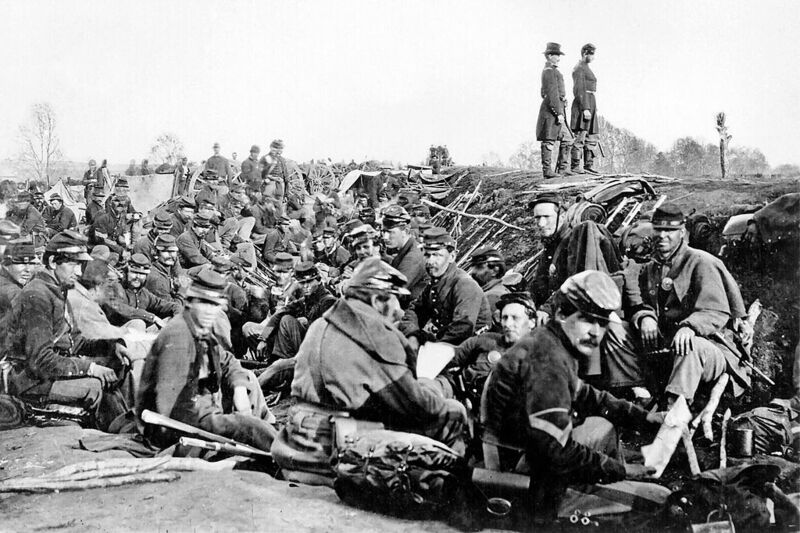 These valiant soldiers fought in many of the bloodiest and most gruesome battles of the Civil War, like Gettysburg and Fredricksburg. Anyone in the Northeast can join the ranks and help these reenactors tell the stories of the soldiers who lived during this time. The National Civil War Association is dedicated to “keeping history alive by living it!” The NCWA reenacts the famous battles of the Eastern Front, as well as the lesser-known conflict in the Pacific Theater, which was instrumental in directing the development of California. The NCWA welcomes new members, and it offers individuals, couples, and families the option of attending one event for free as new members. The Edenton Bell Battery was part of Company B, 3rd Battalion North Carolina Light Artillery. Though originally designated an artillery company, the scarcity of cannon meant the unit was almost consigned to infantry status. The Edenton Bell Battery is reenacted by the Edenton Bell Battery Confederate Artillery Reenactors. The Cumberland Plough Boys, Sons of Confederate Veterans, is a unique organization. Membership is open to male descendants of veterans who served with honor in the Confederate forces during the Civil War. Members receive many benefits, including participation in organization events, a Confederate Veteran magazine subscription, and more. 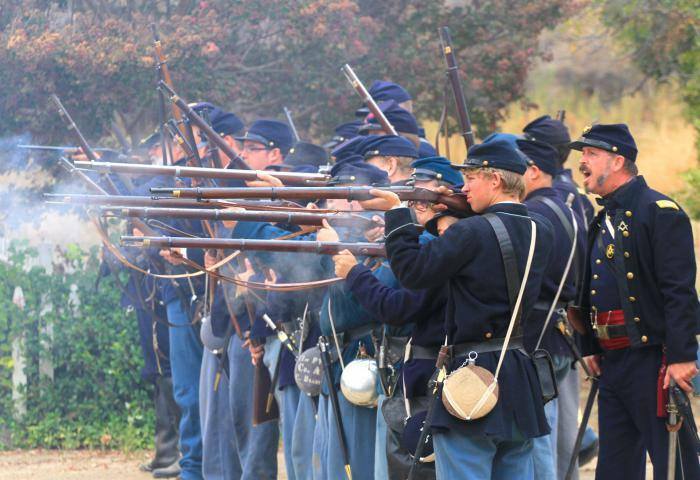 The Civil War Reenactment Society is the oldest such organization in the State of California. Members voluntarily donate time, passion, and knowledge to the reenactment of Civil War battles. All of their equipment is period-accurate, and their goal is to educate individuals and families about the only war ever fought between the States. 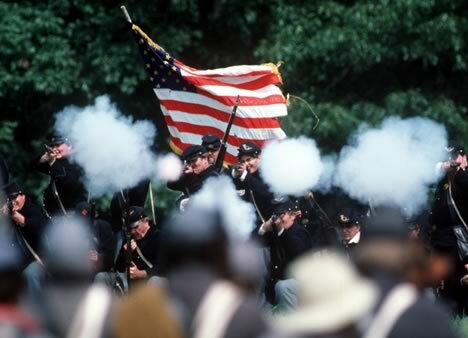 The American Civil War Society is dedicated to educating the public on “the bloodiest conflict in America’s history” through passionate, period-accurate reenactment. The California-based ACWS is active in San Bernardino, Orange, Los Angeles, and San Diego Counties. They have a large and active schedule of upcoming Civil War reenactment events. The National Regiment was established in 1984 to participate in Ronald Reagan’s inaugural parade. Though weather ultimately canceled the parade, the spirit of patriotism and history lived on, and The National Regiment was born. The group is composed of 20-30 member units, and it reenacts a total of 5-6 events a year. The Civil War Traveler is not a reenactment society per se, but it is a fantastic resource for anyone interested in Civil War living history and reenactment. The site offers detailed travel information for Civil War attractions in the East, the Midwest, and the West. It also offers maps, hard-to-find books, and more—all fantastic resources for the Civil War enthusiast. 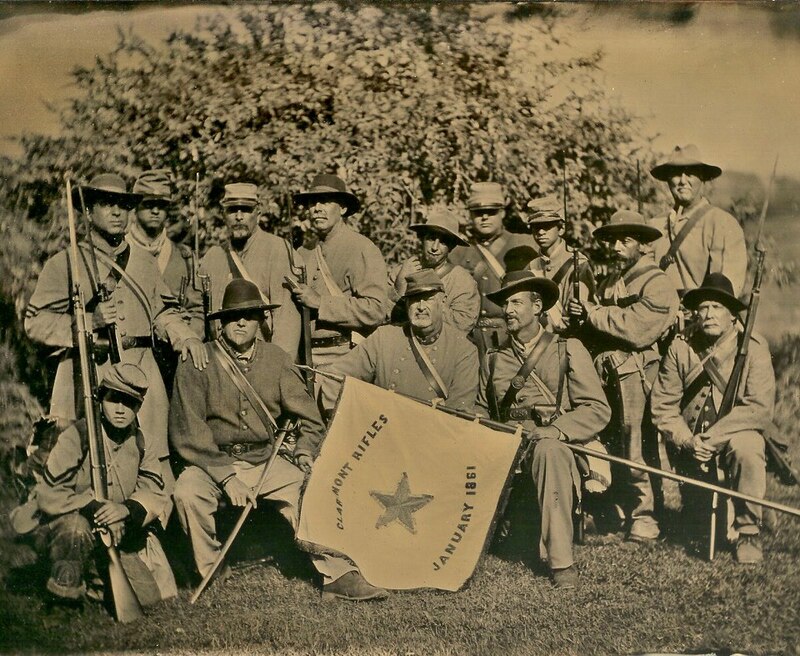 The Santiago Campaign Ninth Infantry Re-enactors, C-company, are dedicated to bringing the Spanish-American War to life. They use period-accurate clothing, weapons, and maneuvers to educate the public on this crucial chapter of American history. 20. The Spanish American War 1898 Inc. 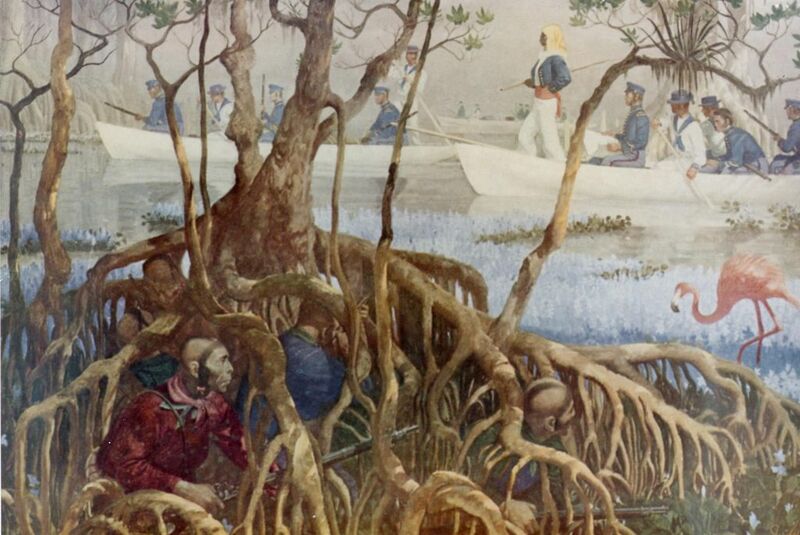 The Spanish American War 1898 Inc. has one primary goal: to portray the period of the war accurately and passionately for the education of its members. The organization focuses on providing immersive experiences for its members, rather than entertaining the public. They use original rifles and authentic uniforms, and they consult U.S. Army manuals from the period to ensure that everything is period-accurate. The Great War Association seeks to recreate the sights and sounds of “the 20th century’s most significant conflict.” On a 100-acre site near Newville, PA, the GWA has created an accurate representation of the Western Front as it was c. 1917-1918—complete with trenches and a bombed-out no-man’s land. Clothing, food, trenches, and more—this experience is totally immersive to the time period. Image courtesy of Barry James Wilson. Used by permission of Trevor Poole. The Great War Society, based in the U.K., was founded in 1984. They offer members practical education in everyday aspects of the war, including perspectives from both sides of the conflict. This is a living-history group, not a combat reenactment group. They believe it is actually undesirable, let alone impossible, to portray combat accurately in front of the public. The Royal Sussex Living History Group was founded by John A Baines (1952-2012). 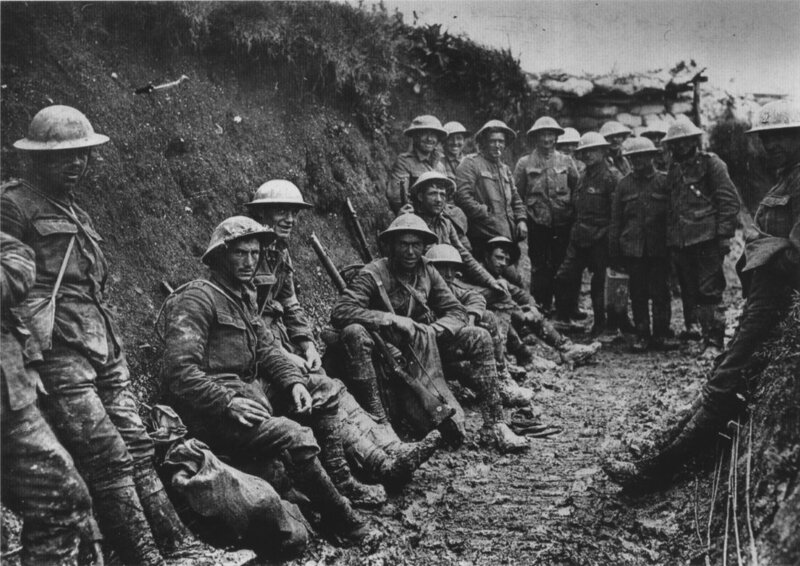 Though he has passed on, the group continues his work in educating the public about the experience of The Great War. Specifically, the group demonstrates what it was like to serve in the Royal Sussex Regiment. The group will hold a Centenary 100th Anniversary Commemoration on June 30, 2016, at 17:00 hours. 24. 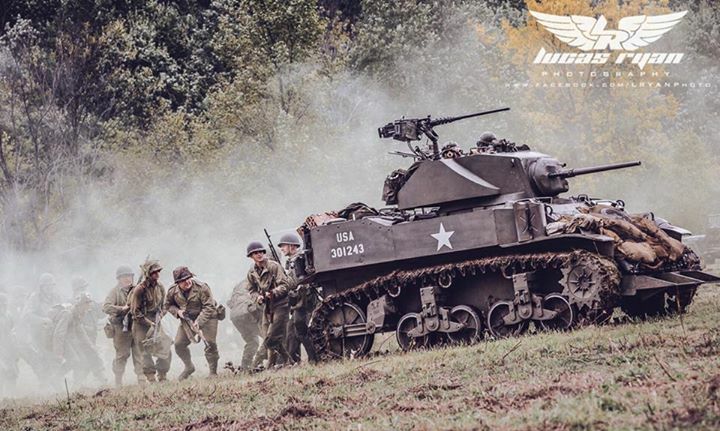 WWII Historical Re-enactment Society, Inc.
Photo courtesy of Lucas Ryan Photography. 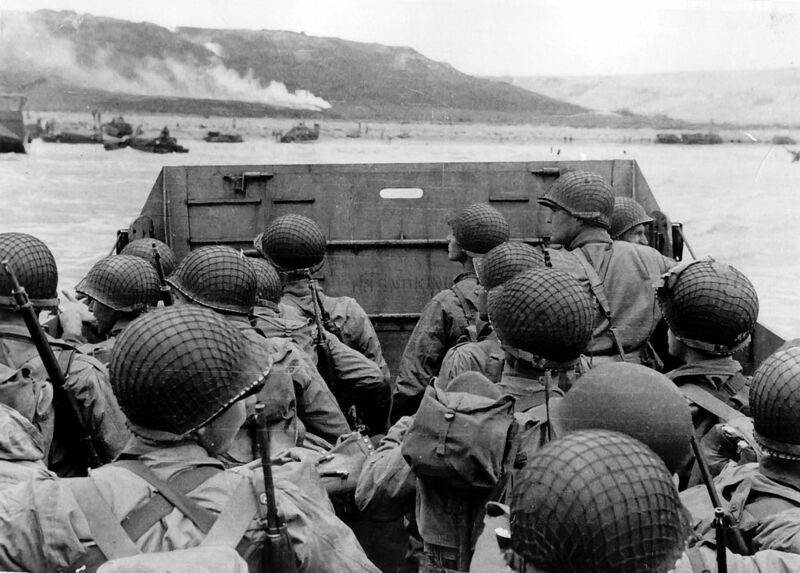 The WWII Historical Re-enactment Society has over 1200 members in the US, Canada, and Europe. Their sole mission is to bring the history of the Second World War to life. They do this through parades, public displays, and simulated battles. They reenact experiences on all sides of the conflict, including the Axis. However, they focus only on the military history of this conflict, and they do not tolerate Nazism or Fascism of any kind. They are always looking for new members. The California Historical Group has many members, aged 15-70. Members bring their own gear, which they acquire on eBay, from flea markets, or from niche online vendors. New members can use loaner equipment until they find their own. Both men and women participate in the group. Women are not generally found in combat positions, since this was not the practice during WWII; however, Red Army units do have women in combat positions, which is historically accurate. The WWII Research and Preservation Society has been active in living history and historical preservation for more than a decade. With over 1,000 WWII vets passing away every day, the WWII Research and Preservation Society is on a mission to find and preserve as many veterans’ stories as possible. They consider this mission a race against time. The group is composed of member units, which are assembled following the dictates of exacting historical research. This group’s commitment to historical accuracy is second to none. The 9th Reenactment Society portrays the 9. Waffen SS Panzer Division “Hohenstaufen,” a German Panzer division from World War II. The society believes that for reenactments to be accurate, both sides of the conflict must be represented in a historically accurate manner. The Society is clear about its condemnation of neo-Nazism and the fact that the Society only seeks historical accuracy in reenactment. 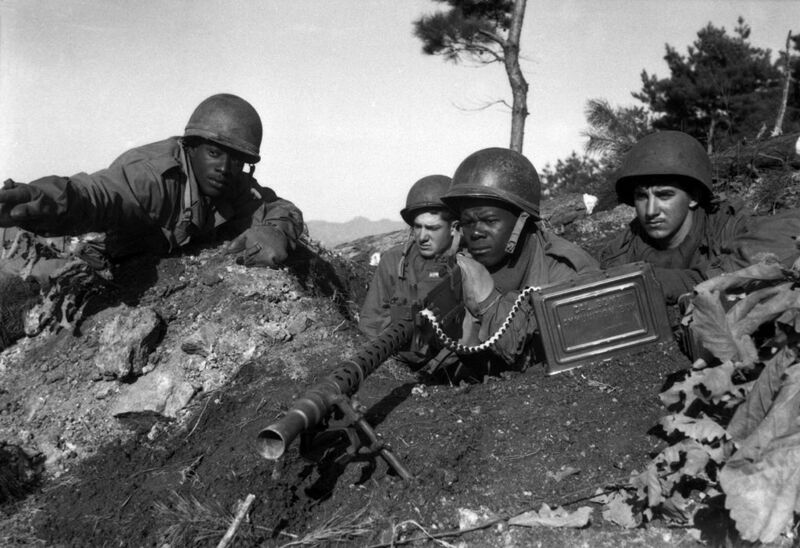 The 1st Marine Division Korean War Reenacting Group has one mission: to portray the experiences of the brave men who fought in the Korean War from 1950-1953. The group seeks to educate people about the most-overlooked US war in the modern era. They are based in Pennsylvania, and they’re always looking for new members. The 5th Regimental Combat Team Living History Association has one simple mission: to provide Korean War reenactment and living history activities in an organized setting. However, achieving that mission isn’t so simple! In contrast to the Civil War and World War II, the Korean War has not received much attention from reenactment enthusiasts. The Association seeks to remedy this situation with period-accurate reenactments for the education of the public. Thank you for your interest. We invite you to visit Recollections for women’s history-inspired clothing. We hope you are able to find a good home for these historical items! My father passed away recently and was a Korean War veteran. Going through many boxes I came across medals, his winter overcoat and more. I would like to know is there someone who needs to expand their collection and purchase the entire collection of what I have. He was in the anti tank artillery and stationed in Germany for his tour. If you re interested please contact me. I live in Chicago and would like to move these items on to someone who would take care of these items. Thanks. By the way I have been a French and Indian war contributor for close to 30 years, so I know personally the dedication we all have. We’ll see what we can do to help you. Several years ago I saw on the website of an American reenactment society, images of a military manual which is in London by an author Hynd. (?) There were at least two volumes describing late 18thC military practice marching order diagrams and music.for fife was included. I would like to get back to that webpage..